Genders in Translation, a day-long symposium organized by the Department of Gender and Womens Studies, brings together international interdisciplinary scholars to consider how genders are understood, lived, represented, and translated across diverse cultures, geopolitical regions, and historical moments. Stamen founder, CEO, and creative director Eric Rodenbeck will speak at Jacobs Hall as part of the Jacobs Design Conversations series. On September 25, Iraqi Kurdistan is scheduled to vote on whether or not to become an independent state. In this weeks MENA Salon we will survey views on the Kurdish referendum. We will also reflect on the tension between the right to self-determination and the principle of territorial integrity. New mobility services are growing quickly, but are they providing mobility for all travelers? Some studies have used system data from the car2go and Uber APIs to examine the types and quality of trips, while others used intercept surveys to characterize travelers using UberHOP and their reasons for choosing HOP. I will share results from these recent studies. 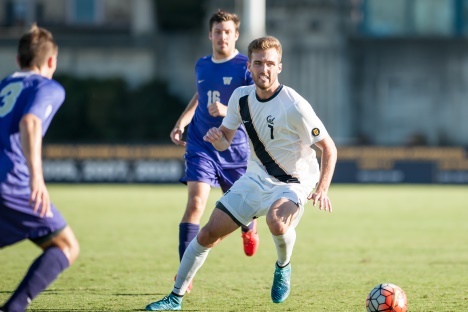 Cal Men's Soccer hosts Santa Clara at Edwards Stadium. Glass Animals latest album How To Be A Human Being (Harvest Records) debuted in the Top 20 of the Billboard 200 and topped the iTunes Alternative Albums chart in the U.S. and Australia.